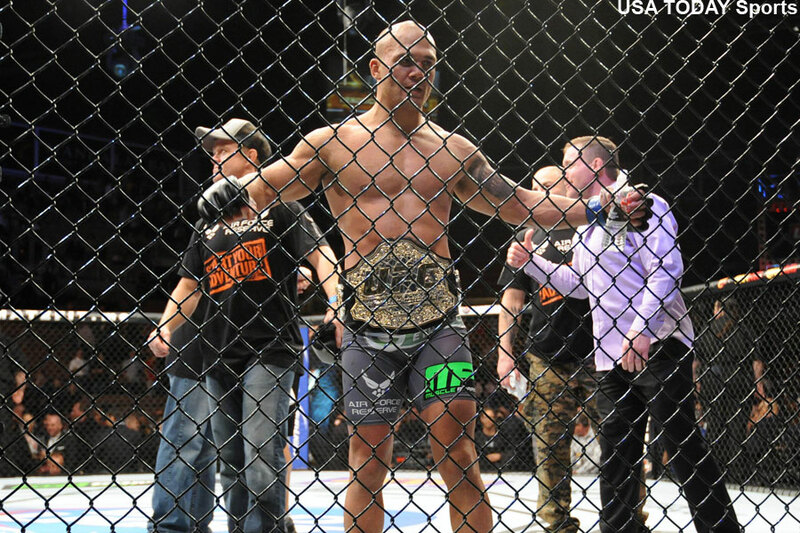 Saturday’s UFC welterweight title tilt between champion Robbie Lawler (pictured) and former interim champ Carlos Condit was expected to be a war. The 170-pounders sure didn’t disappoint in their thrilling five-round shootout. When the dust finally settled on their scrap, Lawler wound up walking away with a questionable (48-47, 47-48, 48-47) split decision victory. It’s unfortunate that an instant classic had to end in controversy, but that’s how it goes in the fight game sometimes. Based on the judges scorecards, the third round was the period that tipped the scales in Lawler’s favor. Two of the judges gave it to the champ, while one handed it to Condit. Lawler and Condit were each awarded an extra $50,000 for “Fight of the Night” honors. In reality, although 2016 is only two days old, this bout will be in contention for Fight of the Year. UFC 195 took place inside MGM Grand Garden Arena in Las Vegas, Nevada.